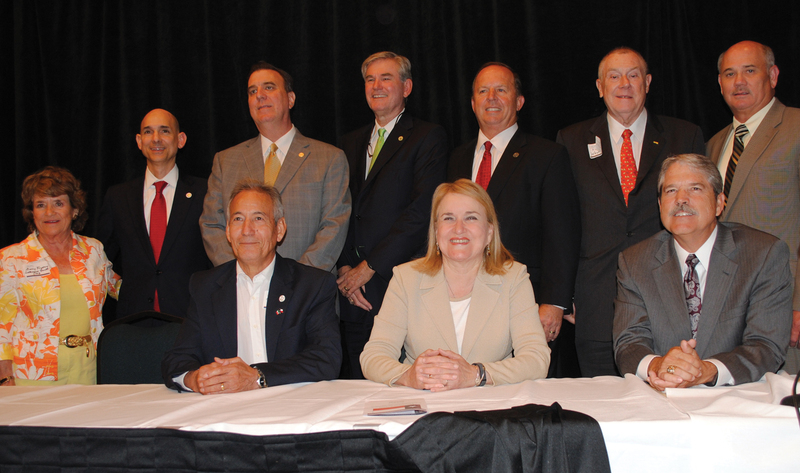 Eight Texas legislators offered their opinions when the Bay Area Houston Economic Partnership’s Political Protocol Committee hosted its biennial Legislative Update in South Shore Harbour Resort’s Crystal Ballroom. Taking part were, from left, seated, State Rep. Gilbert Pena of Pasadena and State Sens. Sylvia Garcia of Houston and Larry Taylor of Friendswood; back row, Committee Chairman Marcy Fryday with State Reps. Dr. Greg Bonnen of Friendswood, Dennis Paul of Clear Lake, Ed Thompson of Pearland, Wayne Faircloth of Dickinson, Wayne Smith of Baytown and BAHEP President Bob Mitchell. 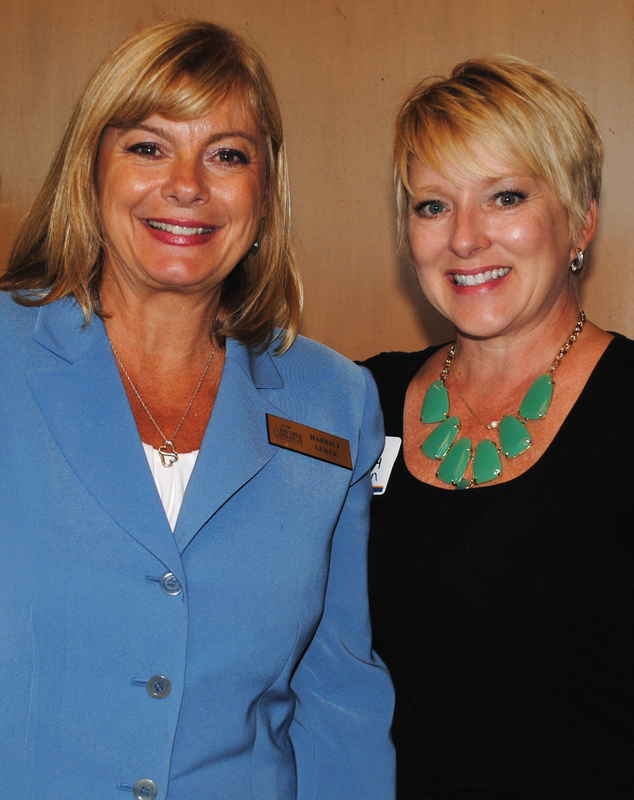 BAHEP Membership Director Harriet Lukee, left, welcomes Judge Holly Williamson to the Legislative Update Wednesday, July 15 at South Shore Harbour Resort. The Bay Area representatives in the 84th Texas Legislature were all on hand July 15 when Bay Area Houston Economic Partnership’s Political Protocol Committee hosted its biennial Legislative Update. Purpose of the event is to update BAHEP members on the work of those who represent us. 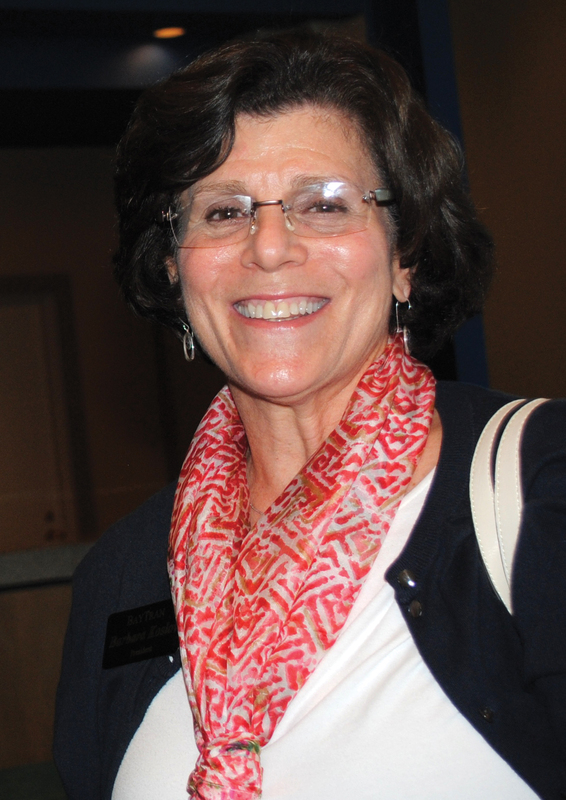 BayTran President Barbara Koslov was one of the dozens of spectators at the BAHEP Political Protocol Committee’s Legislative Update. Each legislator was given six questions that dealt with state problems such as the proposed Coastal Barrier System to protect the Galveston Bay Area from storm surge during major hurricanes, transportation, secondary education funding, guns on campus and the Texas Windstrom Insurance Agency. Each also was asked what one issue was not solved or addressed during the session and would they consider bringing it back up next session. BAHEP Chairman Vic Pierson served as moderator. Prior to the Legislative Update, a reception was held for local elected officials, with a number of mayors and city council representatives on hand. « Opa! The Rodeo Goes Greek!